The Gate is known to be a teaching theatre: a place for high quality, on-the-job training for the next generation of the best theatre-makers and managers in the UK. As a teaching theatre and a springboard for the next generation of theatre makers and artists, the Gate seems to be the likely home for an internship scheme. However, the Gate is committed to creating a meaningful engagement with a diverse group of emerging theatre artists and administrators and we are concerned that unpaid placements limit our ability to do that. As such, the Gate currently does not offer any unpaid placements. 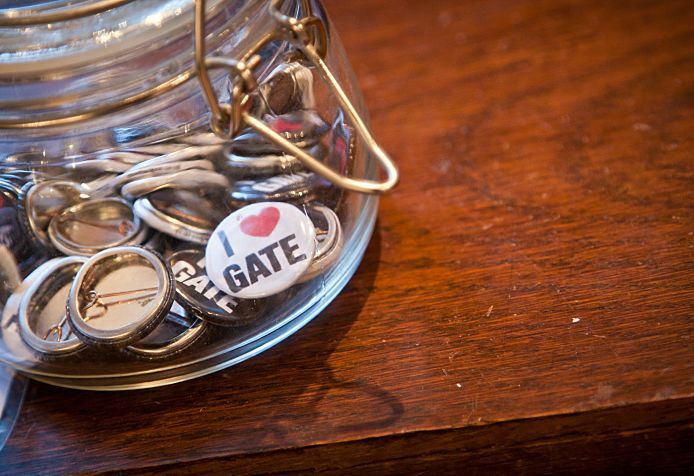 The Gate commits to supporting emerging theatre workers in a number of ways. We’ve listed some of them below. - The Gate will continue working with Creative Apprentices – in particular, the Gate will maintain its Administrator role as an apprenticeship role. - The Gate will continue to run a meaningful Volunteer Usher Scheme. - The Gate will advertise entry-level jobs that don’t stipulate minimum amount of experience or university experience. - The Gate commits to being an employer that recognises potential over experience. - The Gate will advertise all opportunities at the Gate on alternative job search platforms. - The Gate commits to opening up its teaching theatre mission to our Front of House staff – we are happy to talk through job applications or offer advice on projects. - The Gate commits to being an open book – we will have a coffee with anyone we think we can help or advise. - The Gate commits to working with other organizations, such as Into University, to talk and inspire the next generation. - The Gate will continue its work under the Gate Educate banner – forging relationships with local partners. If you wish to talk about any of the above, you can contact our General Manager, Sarah Murray, on sarah@gatetheatre.co.uk.